Happy fathers day to all the Dads out there! What a great weekend we’ve had, enjoying friends and family. 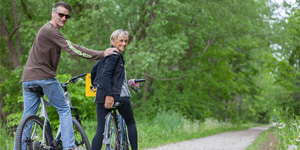 We may have missed a post but sometimes life keeps you busy. The weather really has cooperated this sound of music weekend, it’s been pretty awesome. Also happy summer solstice to all the druids out there! It’s a nice thing knowing this is the longest day of the year! But unfortunately that means even from today they grow a tiny bit shorter each day. 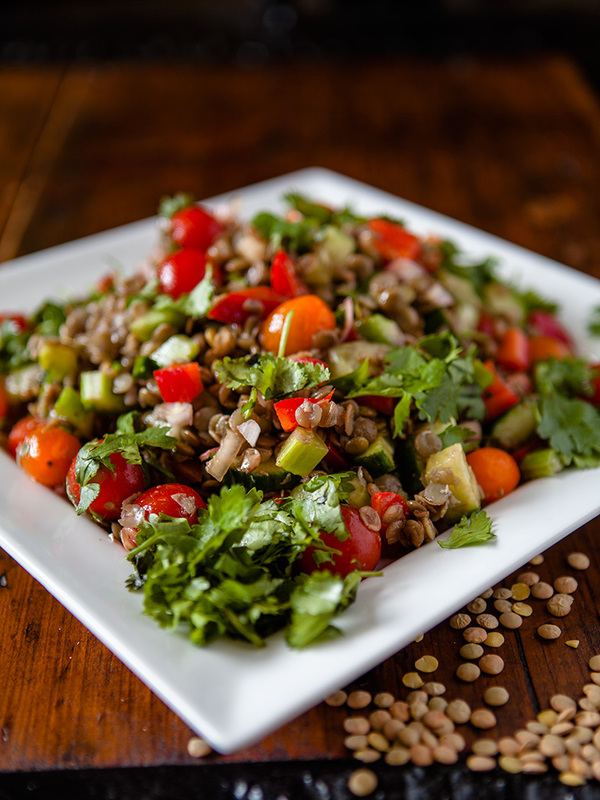 Today I’m going to enjoy this lovely vegan lentil salad sitting in the sun on our patio! Like most of my recipes, simplicity has to be an important thing and this salad is so easy to make. 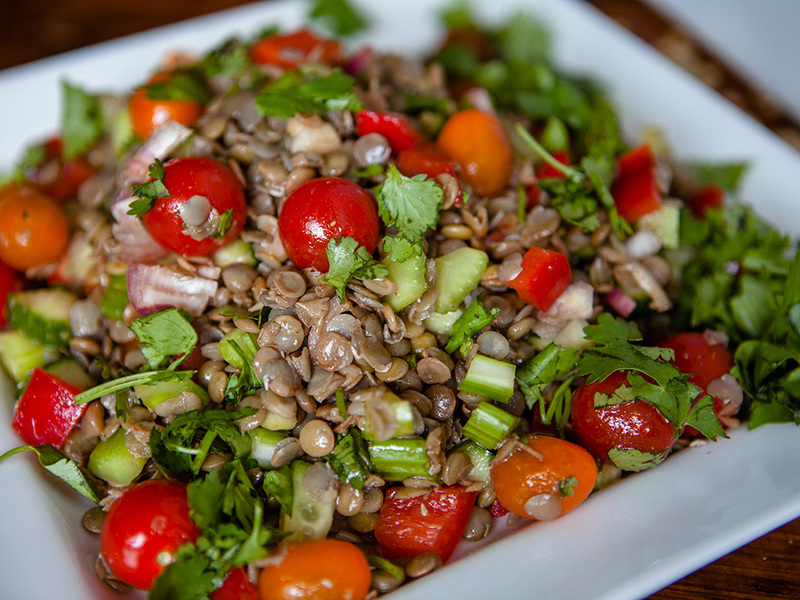 Loaded with great ingredients like juicy cherry tomatoes, crunchy celery, tangy red peppers, hot shallots, English cucumber and of course green lentils. 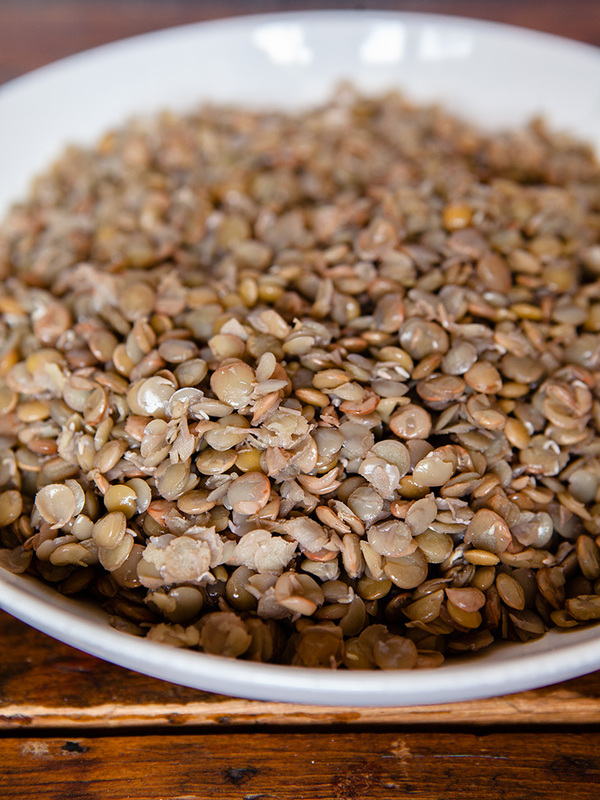 Lentils are great, they don’t need pre-soaking and cook within 20 minutes. You do not want to over cook as they will become soft and mushy which isn’t great for a salad. This recipe makes 6 side salads or 3 mains entrees. Rinse and drain lentils; place in a large saucepan. Cover with water to 3 inches. Bring to a boil. Cover, reduce heat, and simmer 20 minutes or until lentils are just tender. Drain lentils. Leave to cool. 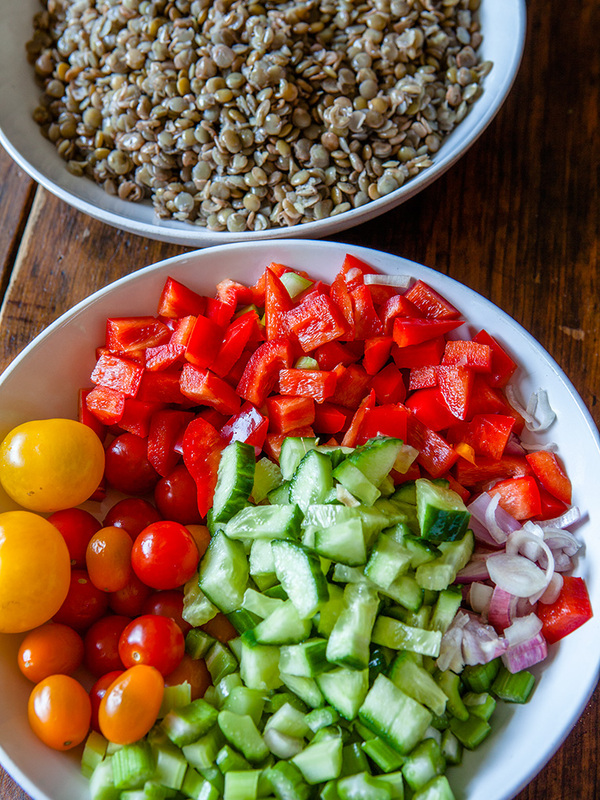 Add remaining salad ingredients to lentils. In a small bowl whisk dressing ingredients together. 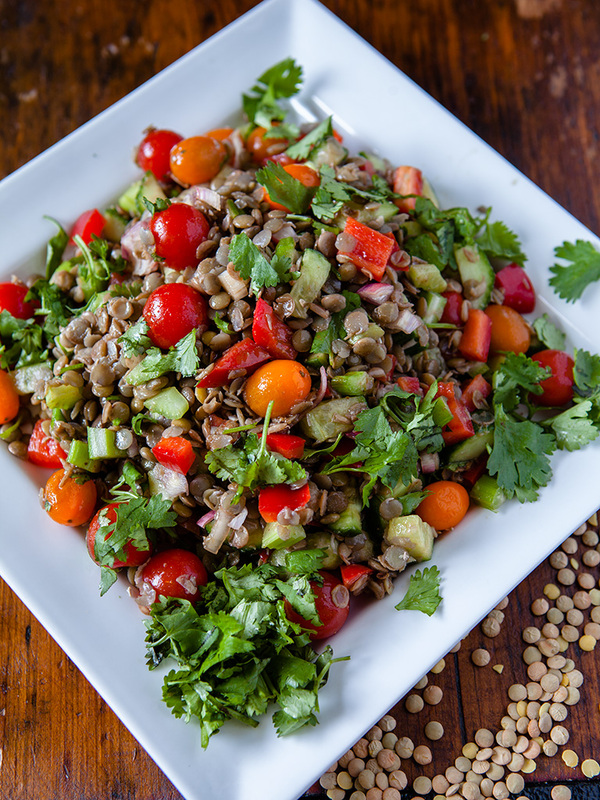 Pour over lentil salad and toss together.